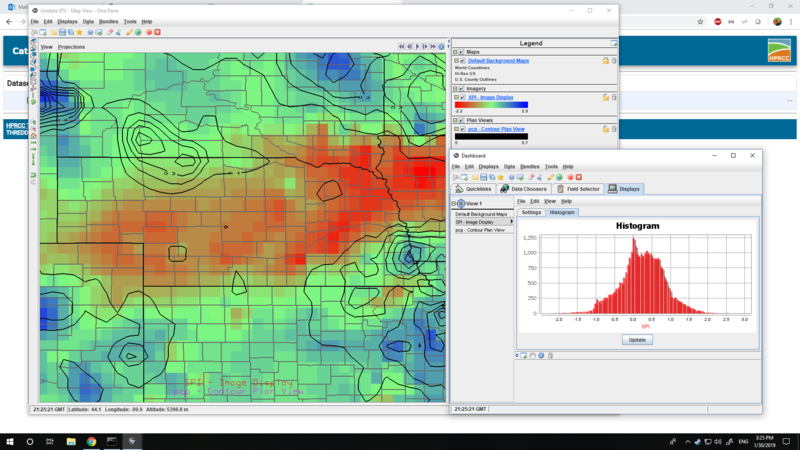 With the help of a new high-tech data server, High Plains Regional Climate Center clients now have quick access to real-time and archived observational and modeled datasets for a number of environmental variables, including climatological and meteorological observations. From 9 to 11:30 a.m. Monday, March 25, the center will host a training session in Hardin Hall 142 for University of Nebraska-Lincoln faculty, staff and students interested in utilizing the data. Workspace is limited, so those interested should reserve a spot via email to Natalie Umphlett, HPRCC regional climatologist, at numphlett2@unl.edu. Workshop participants will learn the about the THREDDS Data Server capabilities and will get hands-on experience accessing and displaying available data, Umphlett said. The THREDDS servers, or Thematic Real-time Environmental Distributed Data Services, are provided by Unidata, a National Science Foundation-funded program dedicated to providing weather data to university educators and researchers. With this server, the HPRCC joins a short-list of about 68 other university, agency and federal government groups around the world to operate publicly accessible servers, including five Big 10 schools: Rutgers University, Iowa State University, the University of Maryland, the University of Wisconsin-Madison, and Pennsylvania State University. Users will be able to download the data values for all points in a collection, run a calculation and end up with representative value of the space he or she is looking at; previously, users had to pick the closest available data point for use in research.